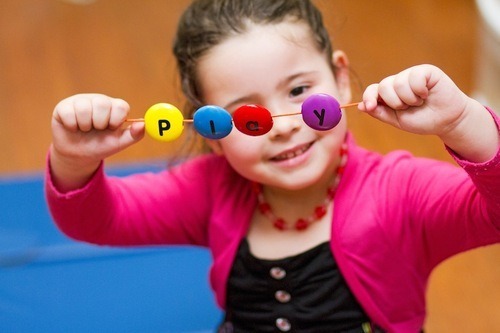 October 2013 - Playapy - Playful Solutions. Powerful Results. Women are known as natural planners. Many plan their weddings. Many more plan their pregnancies and create a birth plan. Yet, not so many have a plan for playtime. As a pediatric occupational therapist, I often meet parents that don’t realize how much is involved in play until they notice a developmental delay. After all, playing isn’t something that many people think of as being complicated since it’s the backbone of childhood. However, what if parents approached play with a plan? Since a plan typically involves achieving a goal, wouldn’t it make sense to make a plan for achieving the milestones of development? But, who has time for that…. In what position is your child’s body? Changing positions allows for the body to have different opportunities and challenges. Changing the position of the head can create a different sensory experience. Putting weight of the hands can create more stability in the joints closer to the core of the body. You have many options: sitting, standing, kneeling, lying on tummy, lying on back, on a ball, on a swing, on hands and knees, legs crossed, etc. Learn to explore these options to vary your play time. What lesson or skill are you addressing? There are several areas of development that you can address separately or simultaneously. Therapists are trained to do this easily but as parents you can learn to do this as well. Try to think in broad terms. 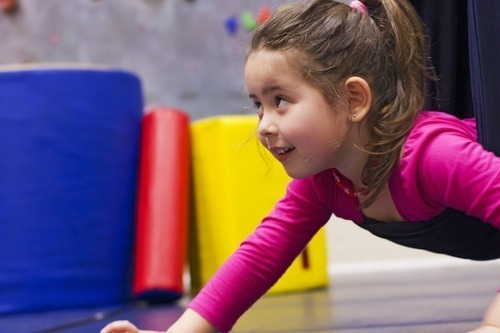 You have many options: sensory processing, development of hand muscles, thinking skills, strengthening, development of large muscles, balance, visual skills, etc. Learn to focus on different skills so that you aren’t always working on the same thing. What activity is your child completing? Playing is all about doing something. This is usually the part that parents find easy. 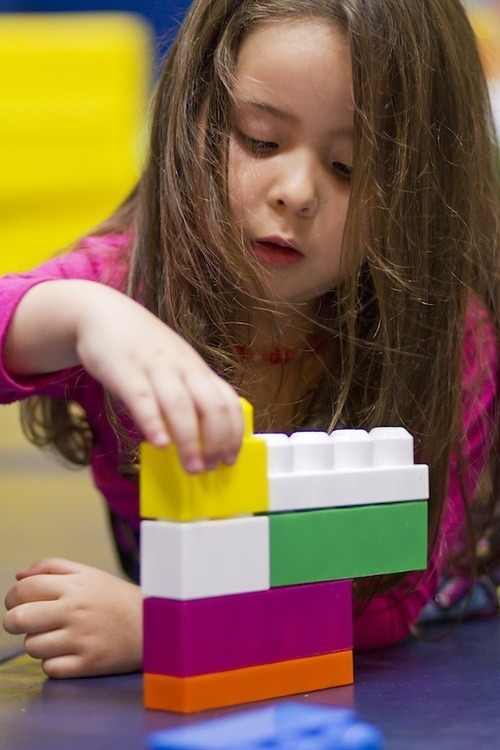 Give a child a toy and a demonstration and let them figure out what to do with it. You have many options: painting, building, coloring, drawing, catching, kicking, pointing, locating, exploring, rolling, listening, bouncing, following directions, etc. 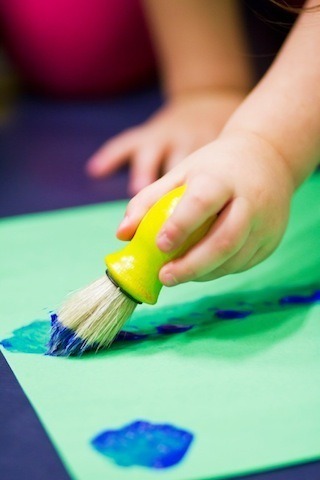 Remember to vary play time so that even if you are working on the same skill you are using different toys, games, or materials to keep your child interested. When you incorporate the 3 elements listed above into one activity you create the nexus. Above you see this in action. This connection is where regular play becomes smart play…and it can be just that simple.